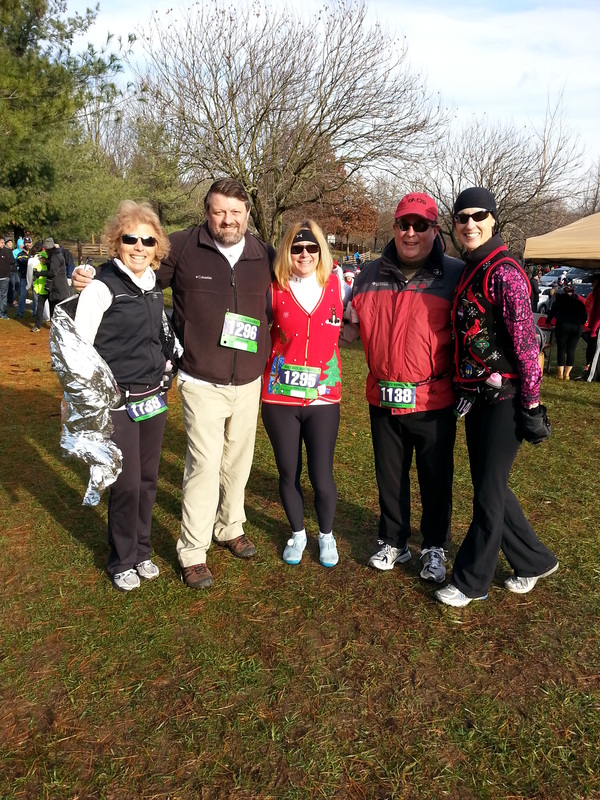 What a festive morning running with my trisistas Well….we ran together for the first 100 feet. You were like the reindeer and took flight. Congratulations on your podium finish! The guys were great sports too and joined in all the festivities.